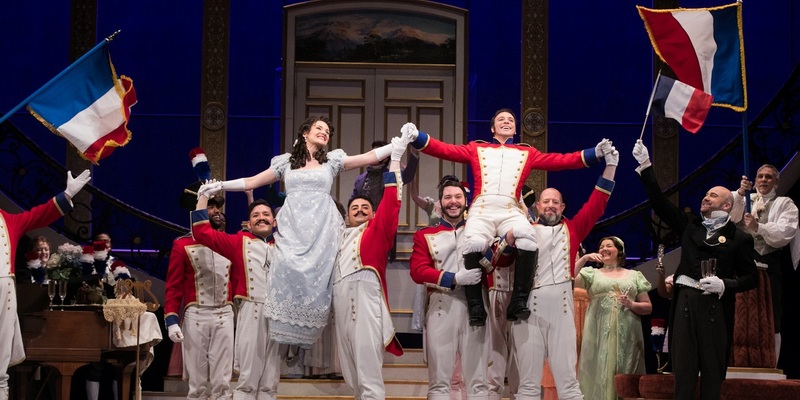 Santiago Ballerini (hoisted above, right) sings a star-making aria in the Atlanta Opera’s production of “The Daughter of the Regiment.” Photo by Jeff Roffman. Early in the first act of Donizetti’s “The Daughter of the Regiment,” the lead tenor sings the highest note a man can possibly sing — nine times in one minute. On WABE’s radio program “City Lights,” Lois Reitzes spoke with Georgia State University Professor of Voice Rick Clement about what makes that famous aria from “The Daughter of the Regiment” so difficult. The Atlanta Opera presents Donizetti’s “The Daughter of the Regiment” on stage at the Cobb Energy Performing Arts Centre on March 2 and 4. This story originally appeared with an audio interview on WABE.org.